(NaturalNews) Let's face it, as was the case with Ebola, the media is blowing this Zika virus threat totally out of proportion, and as a result, some really bad decisions are being made along the way. As far as we've been told, the disease affects only a small portion of the population – pregnant women and those who may become pregnant in the near future. The claim that Zika causes birth defects is based solely on "using epidemiological statistics, not rigorous scientific studies of cause and effect," wrote the Health Ranger in a hit piece exposing the outbreak as an engineered pandemic to justify chemical spraying. Scientists' assertions are based on what they believe is a cause-and-effect relationship between the virus and developmental deformities in children born in regions of South America, home to mosquitoes carrying Zika. But what researchers are failing to acknowledge, is that there are other, more likely causes of microcephaly, a severe birth defect resulting in reduced head size. Various types of pesticides are also known to cause birth defects. Unfortunately, health officials have a one-track mind when it comes to fighting Zika – and that involves the administration of more harmful chemicals, regardless of the adverse health and environmental effects. Reports confirm that Florida (where non-travel related cases of Zika were discovered) intends to begin aerial spraying of a densely populated urban area with a dangerous insecticide called "naled." The chemical assault or "campaign" as the mainstream media describes it will cover a 10-mile area including the one-mile-square area just north of downtown Miami, which experts have identified as a "hub" for Zika transmission. 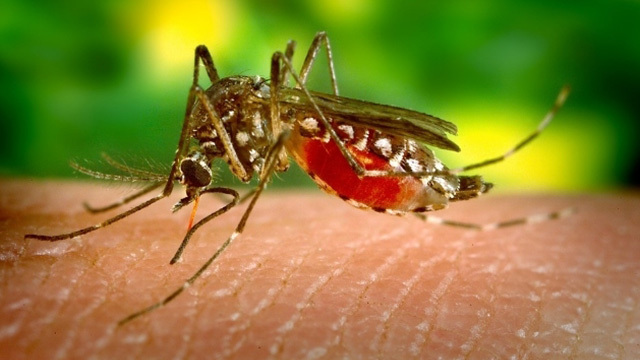 The U.S. Centers for Disease Control and Prevention in conjunction with the Florida Health Department recommended the aerial spraying to reduce adult mosquito populations capable of spreading the virus. CDC Director Dr. Thomas Frieden said in a recent conference call that he's concerned "that vector control efforts so far" have not been very effective – likely because the insects have grown resistant to commonly used insecticides – prompting officials to turn to the new chemical, naled. Naled is an organophosphate insecticide that when it breaks down in animals and the environment, causes "many health effects, both chronic and acute," according to Toxipedia.org, adding that it acts as a "severe" irritant to the skin and eyes. The chemical can affect animal and human health through ingestion and inhalation, the latter of which is believed to cause the most damage. Animal studies showed naled to be 20 times more toxic to rats when it was inhaled versus consuming the chemical in food and water. This is highly concerning considering health officials plan to dispense the insecticide through aerial spraying, placing people at risk for inhaling the toxicant. Pesticide drift makes this route of exposure even more likely. Researchers at the University of Florida found aerially sprayed naled may travel up to 750 meters away from the initial application site. Animal studies show that naled exposure causes "chronic nervous system damage resulting in a mineralization of the spinal cord and decreased nervous system enzyme activity that led to partial paralysis." The insecticide is also harmful to aquatic life, important insects such as pollinators, and in general is "very toxic to most organisms." Proposals to deploy naled in other countries to combat Zika have drawn immense controversy. The Puerto Rican government met intense backlash from anti-fumigation activists when it announced plans to begin aerial spraying of the chemical. The opposition was so strong that officials eventually agreed to suspend its use. San Juan Mayor Carmen Yulin Cruz said that spraying naled into the air is a form of "environmental terrorism." Doctors, farmers and activists expressed grave concerns about the chemical's health and environmental effects, including its ability to kill honeybees, whose populations are already in sharp decline. America's decision to deploy such a deadly chemical to fight a disease that may or may not be causing birth defects is completely irrational and borderline insane. There's a very good chance it could cause more birth defects, as well as other irreparable conditions. The CDC states on its website that most people who contract Zika do not have any symptoms, and when they do, they are typically mild and include things like joint and muscle pain, headaches and fever. "People usually don't get sick enough to go to the hospital, and they very rarely die of Zika," the CDC says. "Once a person has been infected with Zika, they are likely to be protected from future infections." Zika pesticide linked to a 60% increase in autism ... Is this the beginning of an epidemic?